The Nimble builder includes its own page templates. 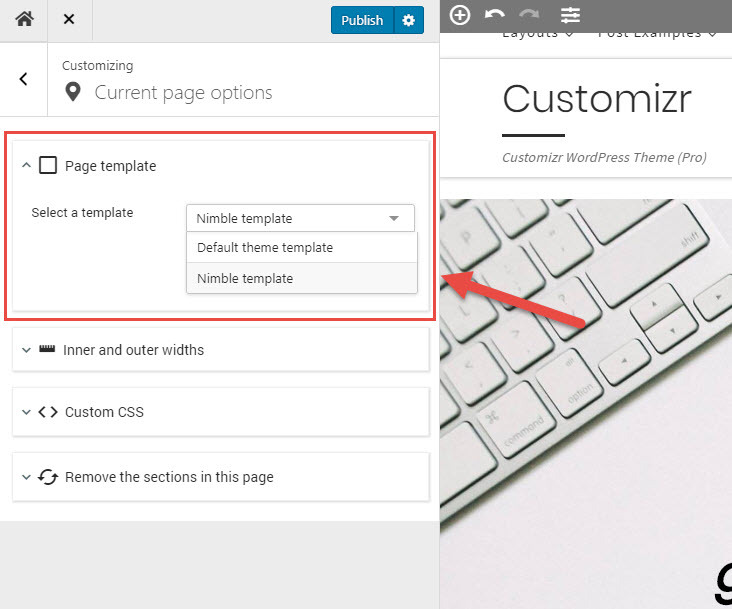 The Nimble templates typically use your theme's header and footer, but replace the main content by your Nimble sections. It can be useful for example if you need to set custom widths for your sections. You can also completely replace the default theme's header and footer by custom ones created with Nimble Builder. Depending on your theme CSS structure, it can allow you to display your sections in full width or with a custom outer and inner width. 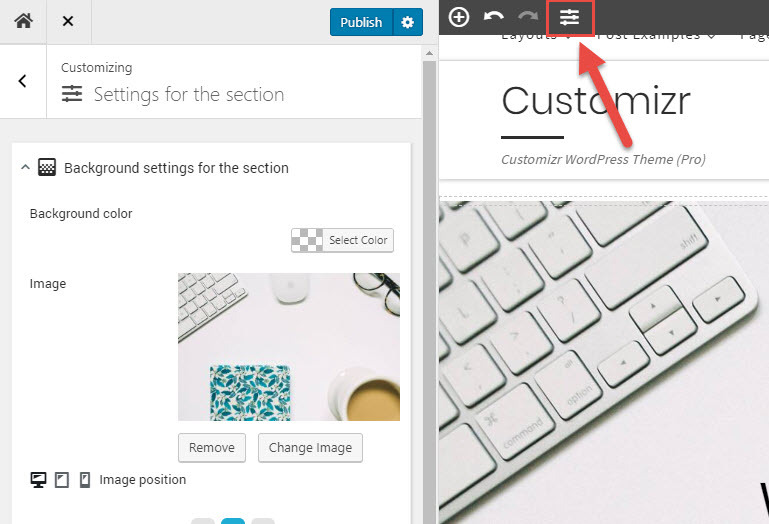 2 - Open the "Current page options"
How to add an anchor to a section and integrate it into the menu with Nimble Page Builder ? 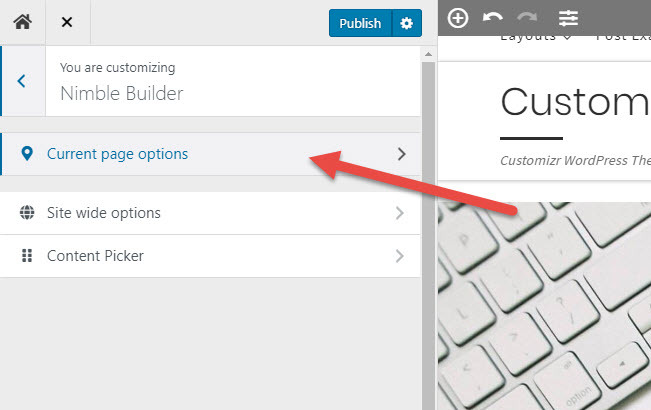 How to access the live customization interface of Nimble Builder ?